With emphasis on your gastronomic satisfaction, we have created special menus with a fine selection Mediterranean and Greek flavors. 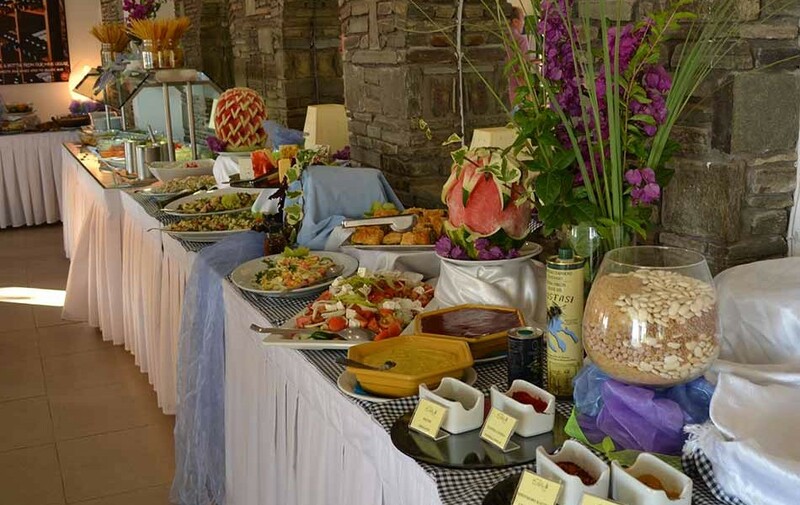 Choose from a large and abundant buffet and enjoy breakfast, lunch and dinner with a wonderful and enchanting view of the sea. Our a-la-carte restaurant “Votsalo”, proud member of our company’s “Love to Cook” family of restaurants, is always ready to welcome you in the afternoon for an elegant meal prepared by our talented chef. 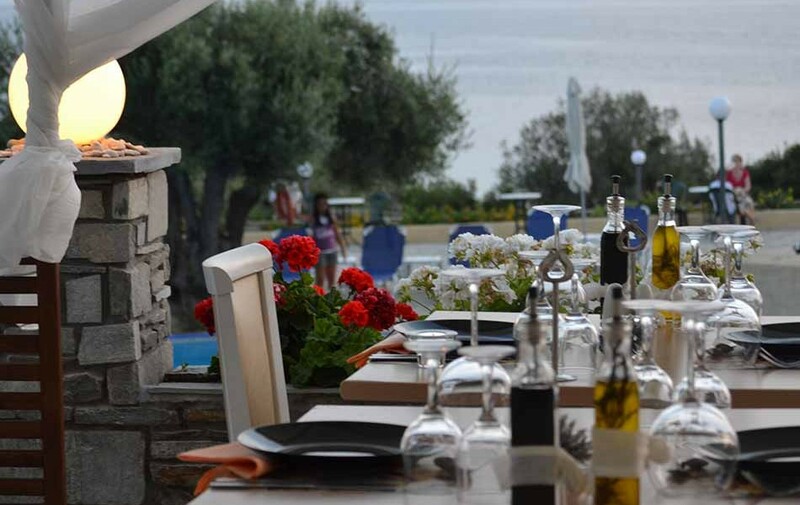 The hotel’s pool bar, next to the refreshing swimming pool, surrounded by a beautiful garden with olive trees, palms and flowers and overlooking the sea, will offer you valuable moments of rejuvenation with cold drinks, fresh juices and coffees. In the evening, it is transformed into an atmospheric bar with beverages and cocktails that will delight you.